An angry Bears fan adds some new lyrics to your favorite Christmas carols. After last night’s horrific Monday night football game against Drew Brees and the Saints, it’s safe to say every Bears fan is past the point of disappointed and truly embarrassed. I took my Bears hat off at the bar because it was no longer appropriate to associate myself with that kind of football. Despite the bad play, this gentleman’s musical debut was at least entertaining. Misery loves company. Last night proud Chicago fans headed into enemy territory (also known as Lambeau Field) as they ferociously cheered on the Bears against the Green Bay Packers during Monday night football. The Bears-Packers rivalry is one of the oldest and greatest in the history of the NFL and no matter what’s at stake for the season this game is always taken seriously. Every educated fan can appreciate the history, but let’s be serious, Bears fans and Packer fans hardly get along. Per usual Lambeau was a sea of Green, Gold, and cheeseheads, I mean cheese hats, but finally Bears fans had an amazing response to those horrific cheese hats – cheese grater hats. Take that you cheese queens, we can shred you up. It was a battle of the back-up QBs and for the first time since 2010 (yup the Packers had taken the last six games) the Bears defeated the Packers 27-20 at their own sanctuary in Green Bay. Before last night, Aaron Rodgers and the Packers had won four consecutive games and sat atop their throne in the NFC, but after a serious upset we’ve got a three-way tie going on between the Bears, Packers and Lions. With Aaron Rodgers’ injured shoulder, the Bears injury woes/aging defense and the cowardly Lions, the NFC is anyone’s for the taking. Could our Bears make a playoff appearance this season? After firing Lovie Smith and a whirlwind of interviewing 13 potential candidates, the Bears finally made there decision Tuesday evening. 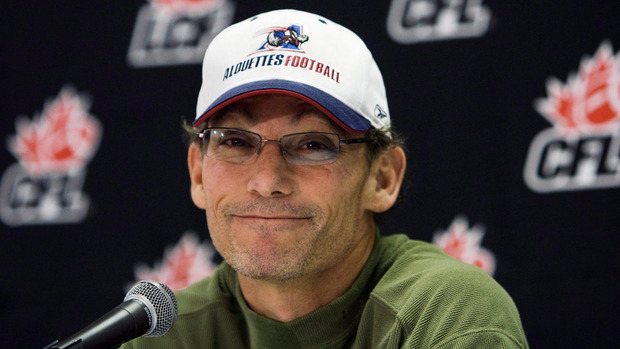 Marc Trestman will be the 14th head coach of the Chicago Bears. Out of all the available options Trestman seemed the most unconventional choice being removed from the NFL since 2004, but hey when have the Bears ever done things by the books? General Manager Phil Emery is trying to shake things up again; which could prove to be inspiring or completely disastrous. The 57 year-old head coach comes to Chicago from the Montreal Alouettes a member of the Canadian Football League (CFL). 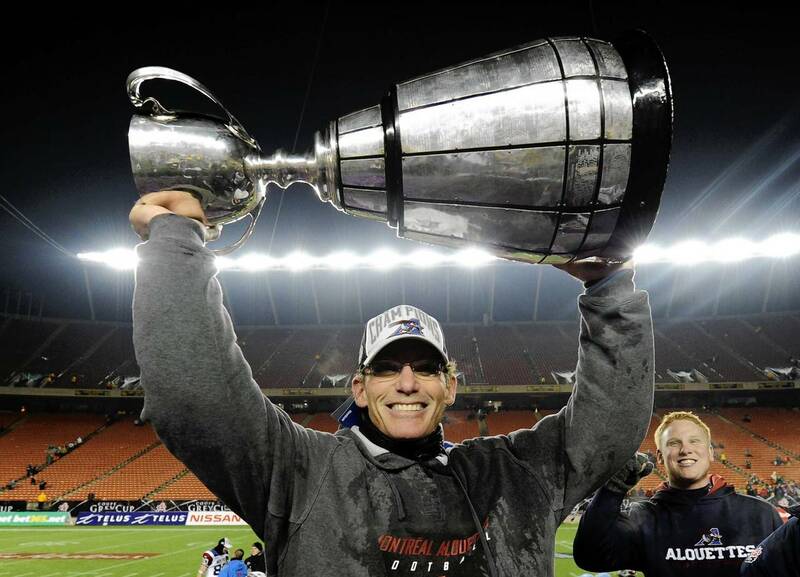 While head coach for the Alouettes (2008-2012), Trestman led his team to two Grey Cup championships – the CFL’s equivalent to a Super Bowl Championship. The most important thing is Trestman is and has been a winner in the game of pig-skin. In his early years of coaching Trestman did some bouncing around the NFL. His most memorable stints include: offensive coordinator for 2002 Oakland Raiders who went to the Super Bowl, OC for the 1995 49ers in their hey day, and OC for the 1989 Cleveland Browns with Bernie Kosar (when they were good). Trestman knows a thing or two about offense, which is what the Bears need right now. However, he has no experience as a head coach in the NFL. The people may need some convincing. Logically the decision is a stunner. The Bears are a charter NFL franchise in the league’s second-largest market and could have hired anybody and we pluck a guy out of the CFL. Bruce Arians – a likely NFL coach of the year candidate – had just interviewed with the Bears on Tuesday. Trestman got the job over Arians as well as other Super Bowl champion ex-coaches. 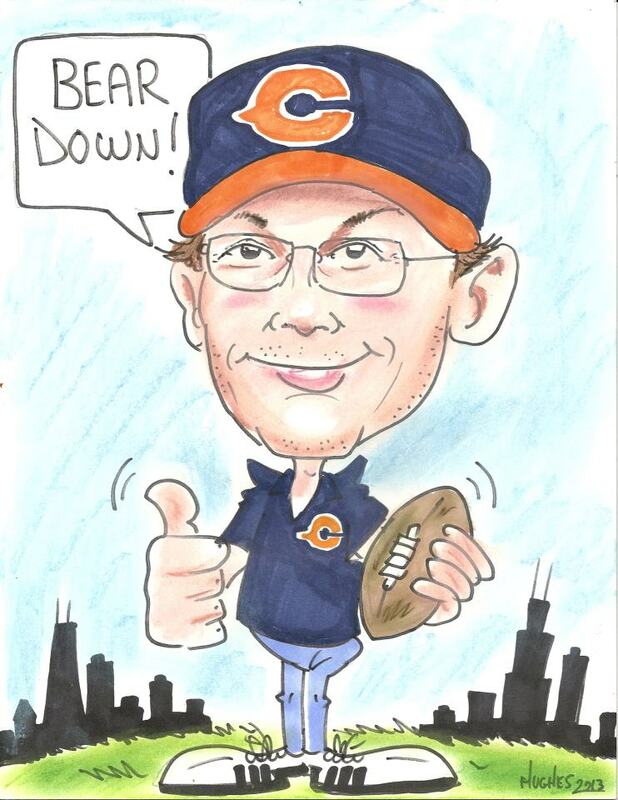 If Trestman was as talented as the Bears front office believes, why haven’t other NFL team’s gone after him? Is Emery a mad-man or were other factors involved? Was it money? It’s said that Trestman had agreed to keep much of the defensive coaches in tact during his interview, while Arians had intended on bring his own defensive coaches. Is Urlacher’s Injury Potentially the End of an Era? Bears middle linebacker Brian Urlacher has been sidelined indefinitely with a Grade 2 hamstring tear. An injury to this extent generally keeps players out 2-4 weeks, meaning Urlacher will likely miss three of the Bears final four games. It is possible Urlacher could return come playoffs, but at the age of 34, which is basically ancient in NFL years, we’re just not sure how quickly his body will recover. It’s also very possible that without their fearless defensive leader on the field, the Bears could miss the playoffs all together – I’m going to try and keep things positive here. Injuries happen so frequently in football, I feel as a society of fans we’ve almost become numb to them, but when a player of Urlacher’s caliber goes down it’s like a dark storm cloud looms over Bears football. With a potential season ending injury, I can’t help but wonder, could this be the end of number 54’s era in Chicago? Urlacher’s contract is up at the end of the season and there haven’t been any rumblings of contract negotiations for the 8-time Pro-Bowler. We know the NFL is a cold, hard world where performance is everything and although his numbers are still impressive, Urlacher seems to have been playing in the shadow of himself this season. He’s been called for hoarse collar penalties in his last two games, which seems very unfitting of the biggest tackling monster in the midfield. Who knows what the future will hold for Urlacher and the Bears, but I hope his last game in a Bears uniform wasn’t the loss against the Seattle Seahawks. The future Hall-of-Famer deserves better than that. Get well Mr. Urlacher! It seems like injuries have yet again put the Bears in a sticky situation as the season dies down and the crucial final games approach. As the injuries pile high, our playoff hopes begin to dwindle. Chicago was forced to place the most reliable player on their team, Robbie Gould, on injured reserve Tuesday after he suffered a left calf muscle injury during the pregame warm-up against the Minnesota Vikings Sunday. Since the Bears are battling it out for the top spot in the NFC North this is not the time for a season-ending injury. Bah, humbug I say. 16-year veteran, Olindo Mare was signed by the Bears after he won a tryout at Halas Hall Tuesday. Mare has some big shoes to fill as Gould is the fourth-most accurate field goal kicker in NFL history at 85.6 percent. Mare has moved around quite a bit in his career playing for the Carolina Panthers last season, as well as the Seahawks, Saints and Dolphins. He’s not a terrible kicker, with an 81.2 percent rating over the last 15 seasons, but as we know our Bears offense can sometime struggle with the whole “touchdown” idea and we heavily rely on our kicker to produce field goals from 35-50 yard range. The injuries are really racking up for the Bears as the season winds down. We lost the heart and soul of the defense when middle linebacker Brian Urlacher tore his hamstring. Cornerback Tim Jennings is still recovering from a dislocated right shoulder he suffered against the Seahawks, but he’s optimistic about the Green Bay Packers game this weekend. The list doesn’t end there, defensive tackle Stephen Paea has an injured foot, defensive tackle Henry Melton injured his shoulder against the Vikes, defensive end Shea McClellin suffered a sprained MCL in the loss to the Vikings as well, but hopes to return soon. Just a few more to go, reserve safety Craig Steltz has a chest injury and cornerback Sherrick McManis injured his knee. Both Steltz and McManis are joining Robbie on the IR. *Fun fact: When placed on injured reserve a player must remain there for eight weeks before returning. Thus, none of the Bears players will be returning this year since their injuries happened too late in the season. Basically, the Bears special teams and defense are in shambles heading into week 15 against the Packers. Hopefully Julius Peppers, Lance Briggs and Peanut Tillman can hold down the fort against the Pack.